Ly Pham has always been interested in a career that would allow her to work towards building better communities. Drawing from her background in sociology, she knew that a Master of Public Administration would prepare her for the career she desired. As this year’s group of 86 graduands prepare for convocation, we asked Ly Pham (Master of Public Administration ‘18) about her time with the Johnson Shoyama Graduate School of Public Policy. Here is what she had to say. Q: What interested you in an MPA? Ly: I was first introduced to policy issues, specifically social policy, while working as a summer student at a correctional centre in Saskatoon. My undergrad is in sociology, so naturally I was drawn to the Johnson Shoyama’s Master of Public Administration program, especially after learning that I it would provide me with the knowledge and skills required to make an impact in my community, and prepare me for a career in the public sector. Q: How did the MPA challenge your perspectives and schools of thought? Ly: I struggled the most with theory and reality. I learned a lot about theory in the classes, but after having the opportunity to experience the actual landscape of the public sector through my internship, I realized that theory may not always be applicable. It challenged me because while the theory is very important and needs to be considered, one must be aware of all of the factors that affect the theories. Q: Where did you work during your Executive Internship? Ly: During my internship, I was fortunate to work with Innovation Saskatchewan. I feel as though my skill have grown ten-fold and I really appreciated the opportunity to have been given work under a mentor in the public service. Q: What did you find most valuable about your time with the JSGS, and what did you learn about yourself? Ly: I truly valued my internship experience. I also enjoyed meeting my fellow classmates from all different backgrounds. The international students really challenged my perspectives, but they opened my mind and taught me things, and I believe I became a better student for it. I discovered that I had better public speaking skills than I had thought. The JSGS provided multiple opportunities to learn how to prepare for presentations effectively. This used to be something I consistently strayed away from, but I am leaving the JSGS much more comfortable in public presenting. Q: How do you plan to put your knowledge to use in your career? Ly: With the knowledge I gained, I hope to have the opportunity to share my ideas regarding diversity issues for women and Indigenous peoples in Saskatchewan. I am leaving the JSGS with an open mind and I am excited to gain more real world experience and to continue building my skill set. Q: What would you suggest to new JSGS students? Ly: My advice to incoming students is to take full advantage of all of the opportunities that the School has to offer! The JSGS has numerous networking opportunities, like the Wine and Cheese event and the Tansley Lecture. These chances to network are important because they are great opportunities to build a strong contact list of people in government that may come in handy in the future. Also, do not be afraid to reach out to professors or executives-in-residence for mentorship. They have a wealth of knowledge about theory and valuable experience in the public sector. They are always willing to assist you when you struggle and they are great supporters in helping you prepare for life after graduate school. Q: What are you looking forward to after convocation? Ly: I am most looking forward to taking all my skills and knowledge that I have gained in the last two years and finally putting them to the test. It will be my first opportunity to showcase my capability in the public sector. I don’t expect the next steps in my career to be easy, but I know that the JSGS has prepared me well for the real world. 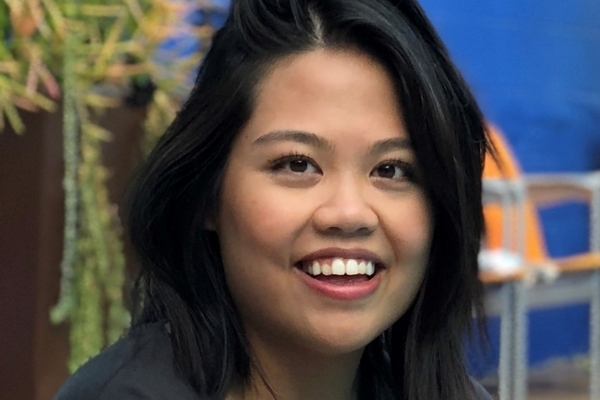 On June 5, Ly Pham will be one of 22 MPA students to graduate from the University of Saskatchewan campus, joined by five Master of Public Policy, three Master of Northern Governance and Development, and 2 Ph.D. in Public Policy graduands. The University of Regina campus will see 20 MPA, 19 Master of Health Administration and 15 Master's Certificate graduands cross the stage the next day, on June 6. These 86 graduates will be joining over 800 JSGS alumni worldwide.